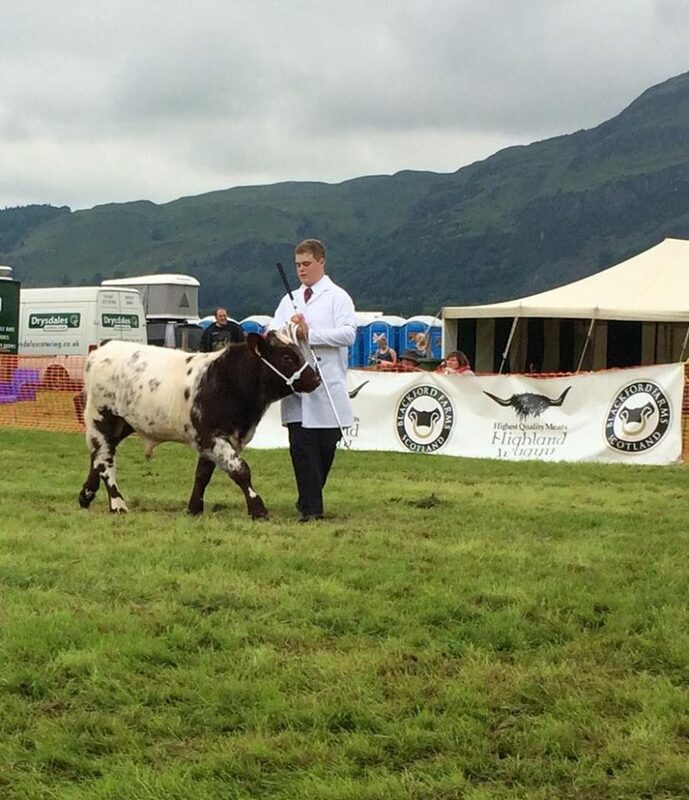 We had a fantastic day at Stirling Show, with our Shorthorns winning four first prizes, two second and one third with Quoiggs Extra Special making Shorthorn breed champion (see below). Quoiggs Extra Special was first in his class and Quoiggs Freud was second in his class while Mohmar Genghis Khan was third in his class. Pictured below is Extra Special and Freud in the bull class. 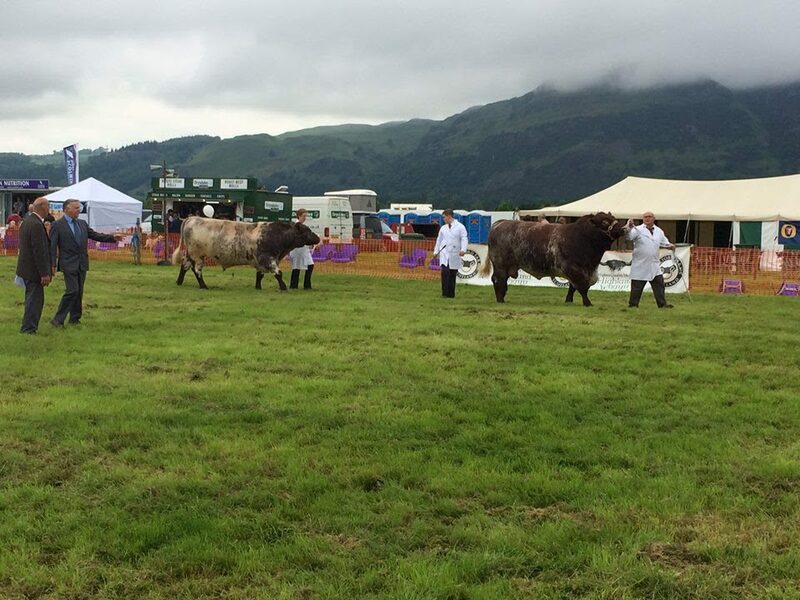 Quoiggs Rhona E530 and her bull calf Mohmar Hercules were first in the Cow and Calf class (see below). Mohmar Georgina (full sister to Extra Special) was second in her class and Mohmar Hercules won the calf class (see below). 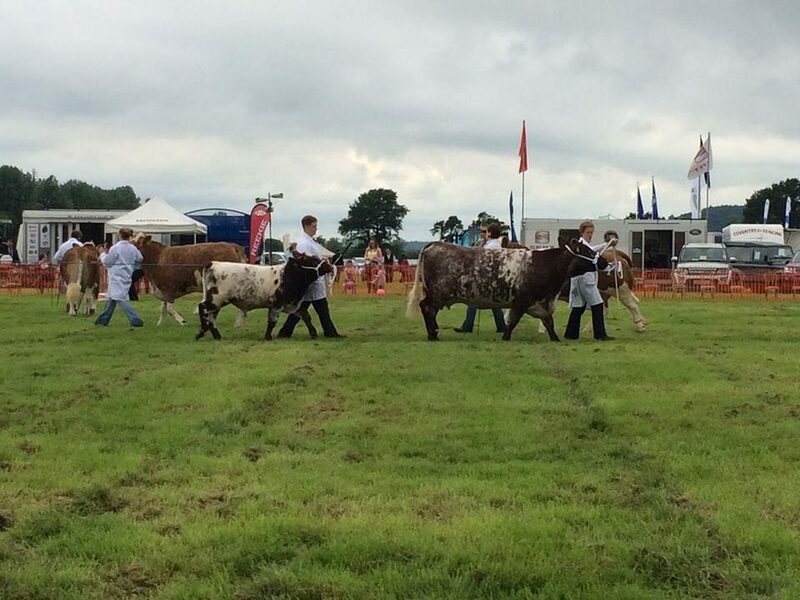 Quoiggs Extra Special, Quoiggs Rhona E530 and Mohmar Hercules won the pairs in the Shorthorn section before winning the United Auctions Interbreed Pairs Trophy for the best interbreed pair. 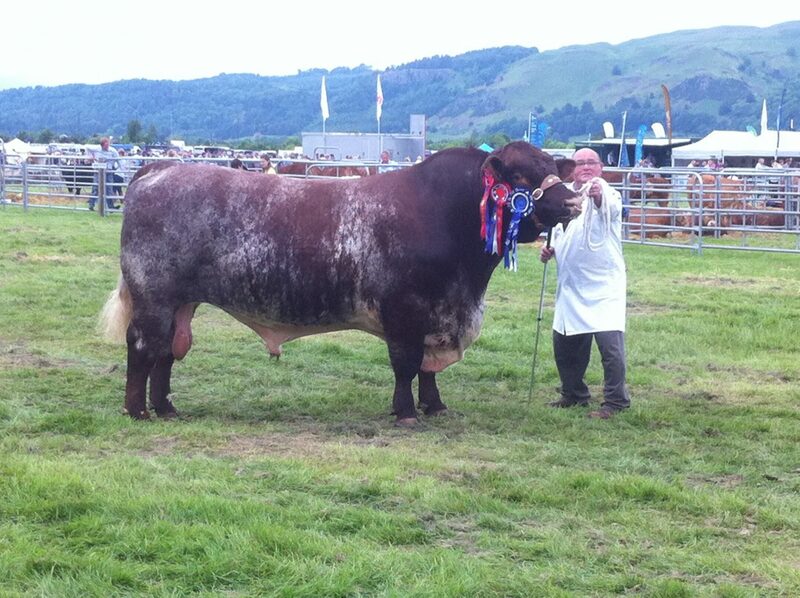 Then Quoiggs Extra Special went on to be reserve overall beef champion of the show. 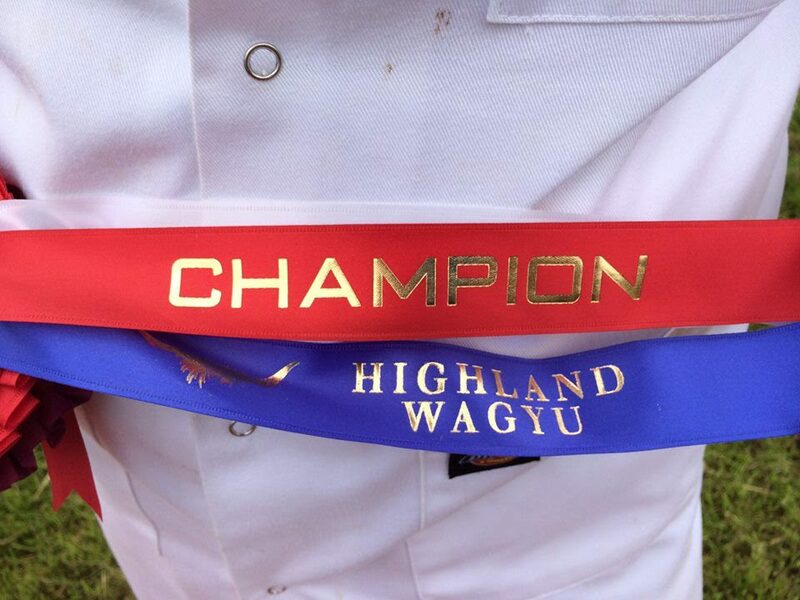 In the Young Handlers classes, young John won the first class for the best beef calf before winning the best Young Handler for the 8th year in a row. John can now give someone else a chance as his birthday on Sunday means he’s now too old to compete! Well done to team HW for all their hard work and dedication.